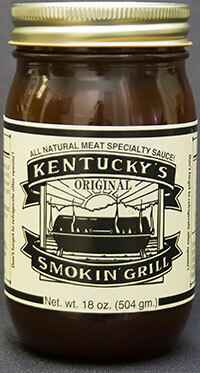 Have a hankerin’ for our Kentucky’s Smokin Grill Original Specialty Sauce on just about everything you eat? Then we have a DEAL for you! Order a case of our original blend and save a dollar on each and every one of the 12 jars inside. How’s that sound? If you have an even bigger appetite, please be aware that any orders of more than 15 cases will require 30-days of lead time. We want you to have your favorite BBQ and specialty meat sauce as soon as possible but it takes a bit of time to cook up and ship out that much perfection — but we are sure you will find the mounds of sauce worth the wait! 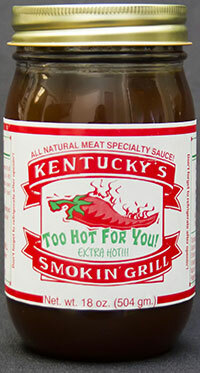 I put this sauce on a rack of ribs and threw it on my grill. Ribs are a hit or miss proposition -- they are either really good or barely edible. There is no in between. Ribs don't taste right if the basting isn't perfect. And it's based totally on the quality of the sauce. 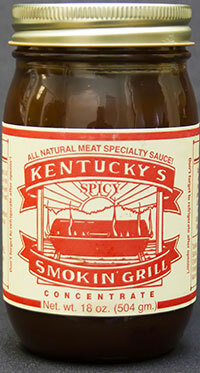 Kentucky's Smokin' Grill Barbecue Sauce made my ribs a hit! They were really, REALLY good.